Multimodal transportation, as well as types of container transportation to become more and more popular every year, increasing their volume. And this is not surprising, because the containers - it is one of the most convenient and reliable way to delivery. Container shipments do not require an overload that allows you to save money and reduce the time of delivery. 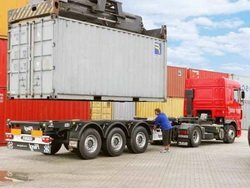 With the container transport can be transported almost any type of cargo: bulk, liquid (in the packaging) and even goods which requires special conditions for transportation, such as hazardous or perishable. For each type of goods, there are special types of containers, for example, Refrigerated, the tank-container. But there are universal containers. Multimodal transport especially convenient ample opportunities load capacity and dimensions of transported cargoes. Also worthy of special attention and undeniable convenience of logistics multimodal transport of goods. All this is generally a result, it allows you to save time and money. Apart from the international multimodal transport, because this type of traffic to minimize costs as a means, and time as well as avoiding the big paperwork, as is necessary to work only with one organization. 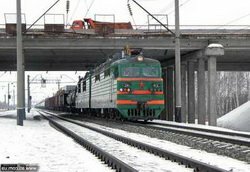 It is especially advantageous when the organization in addition to multimodal and container traffic, and can have a wide range of additional services. The shipment without the Customer's departure. Permanent accepting applications for the delivery of cargo using containers, even on weekends and holidays. Fast shipment of containers from the sender station and from the port. The most optimal tariffs on container and multimodal transportation of goods. At the same time we are committed to the highest quality requirements. Note that the rate includes feeding the empty container to the warehouse of the customer (in the city), as well as the preparation and execution of accompanying waybills, w / d rate and sealing the container. To send the containers are accepted from 3 to 40 tons. You leave the application, and we provide the container directly to your warehouse for loading, load control, and send in a given direction. If necessary, we can insure the shipment. Each client has individual needs, and we are perfectly well aware, we develop an optimal delivery scheme. Cargo delivery directly to the customer. Urgent implementation of the application on the same day. Mixed water and rail connections. Storage, cargo consolidation at our warehouses. Receiving container and its raskreditatsiya, delivery directly to the recipient. Full support of dispatching the goods, as well as control of the cargo on the whole route of its following. Freight handling, placement, mounting in a container. Project Cargo (loading, placement and fastening). 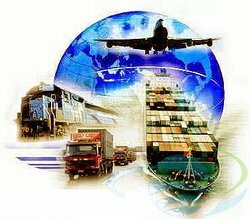 International multimodal transport with the help of the "Association of Customs Brokers" - a profitable and safe!